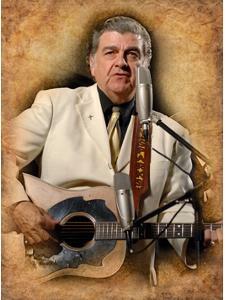 Larry Sparks & The Lonesome Ramblers are scheduled to headline the 4th Annual Salt Lick Bluegrass Festival. This annual Kentucky favorite will also feature legendary bluegrass pioneer Melvin Goins & Windy Mountain. The two day event will take place in Shepherdsville, Kentucky February 15-16, 2013 at the Paroquet Springs Conference Center. Louisville, KY -- Spring is in full swing at the Jefferson Memorial Forest and on one special day every year Bluegrass music can be heard in the air as you walk the trails and enjoy the scenery. "The Forest Fest '12 is a great way to showcase the beauty and fun of the Jefferson Memorial Forest," says Councilwoman Vicki Aubrey Welch (D-13). "It is a great collection of local and regional bluegrass musicians who love to play for people who love to listen to a unique blend of American music."